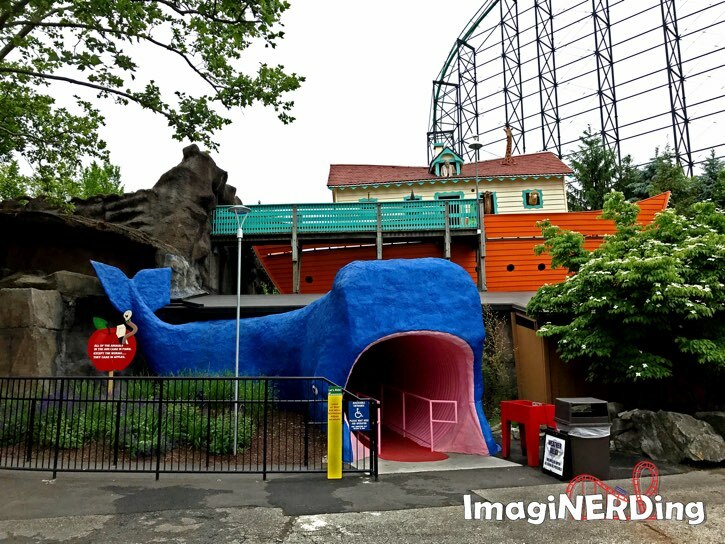 Why Disney Fans Need to Visit Kennywood! Kennywood (nope, no relation to Kenny Rogers), an amusement park located outside Pittsburgh, has always been on my wish list. People asked me why I wasn’t visiting a Disney park whenever I mentioned going to Kennywood. Over the past two years, I’ve expanded my travel to include regional parks, like Dollywood, Carowinds and Holiday World. I’ve discovered that the smaller, regional parks offer such a unique experience, that you have to enjoy them as is. 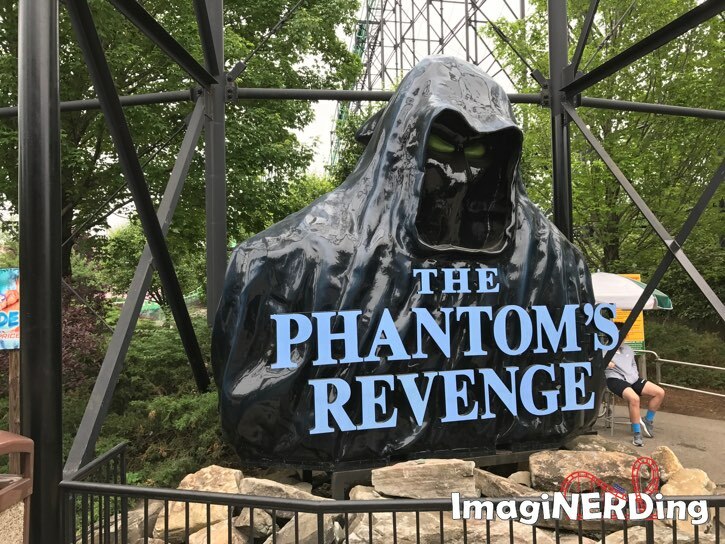 When I decided to visit Kennywood, I reached out to their PR team and was provided a complimentary ticket for my visit. Let’s talk about why every Disney fan needs to visit Kennywood. 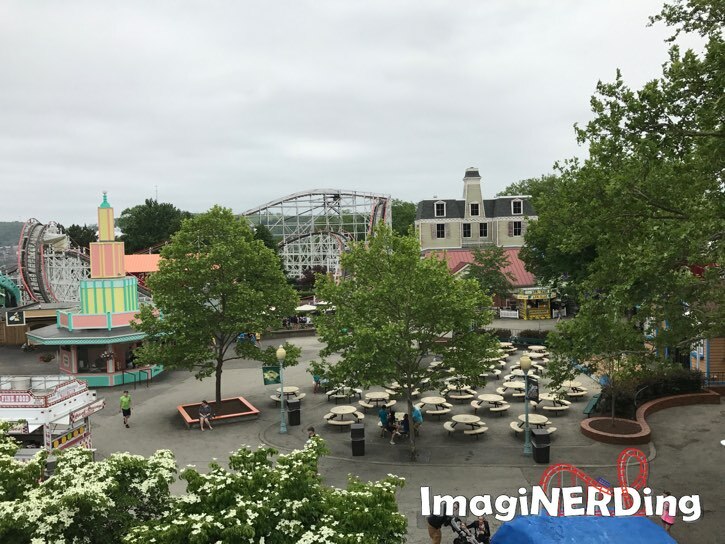 So, why do Disney fans need to visit Kennywood? 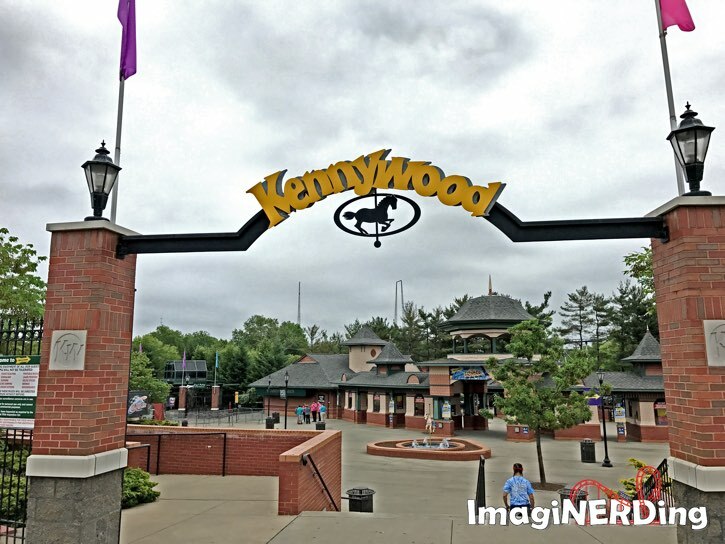 Kennywood is an 80 acre park that opened in 1898. (Disneyland is about 85 acres and opened in 1955.) So, right off the bat, Kennywood is one of the oldest parks in America. Not only does it have historical importance, but it features one of the oldest operating rides as well as several rides that are the last of their kind. Disney fans should visit this Pennsylvania amusement park because of the rich tapestry and history that permeates every nook and cranny. The DNA of every amusement park lives here, and we wouldn’t have a Disneyland without the likes of Kennywood and other 19th and 20th century parks. We are very fortunate that Kennywood is alive and well! Doused in history, Kennywood is one of the few parks that celebrates its heritage. 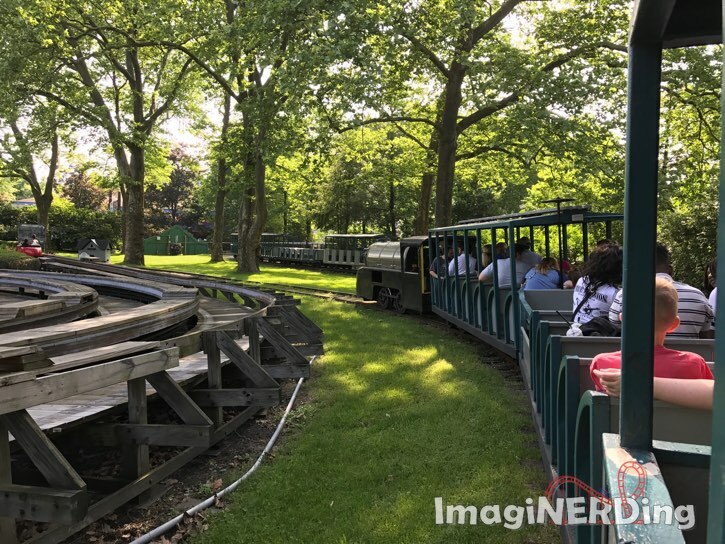 Kennywood offers a catalog of forgotten flat rides and beautiful wooden coasters, like: the Old Mill; the Turtle; the Jack Rabbit; and the Kangaroo. Built in 1901, the Old Mill has gone through quite a few changes while retaining its historical fabric (the same year Walt Disney was born). So, why is The Old Mill important? Well, water rides, such as the Old Mill and Tunnels of Love were the predecessors to modern dark rides and water-based rides, like: it’s a small world; Pirates of the Caribbean; and Frozen Ever After. Granted, the Old Mill never had the technology of the Disney classics, but it was still the first step towards them. 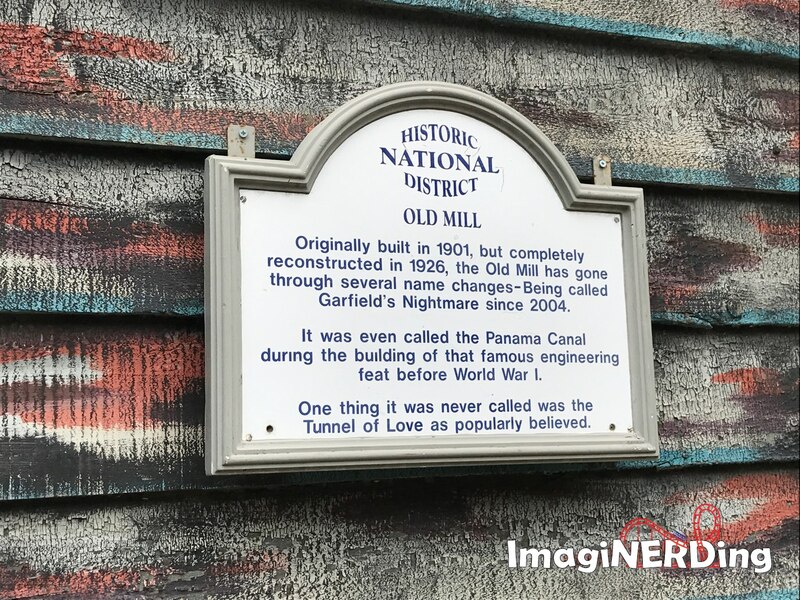 Over the past 100 years, the Old Mill has had several face-lifts and is currently themed to Garfield’s Nightmare. Although it’s out of fashion, the Garfield overlay still makes it a fantastic dark ride. 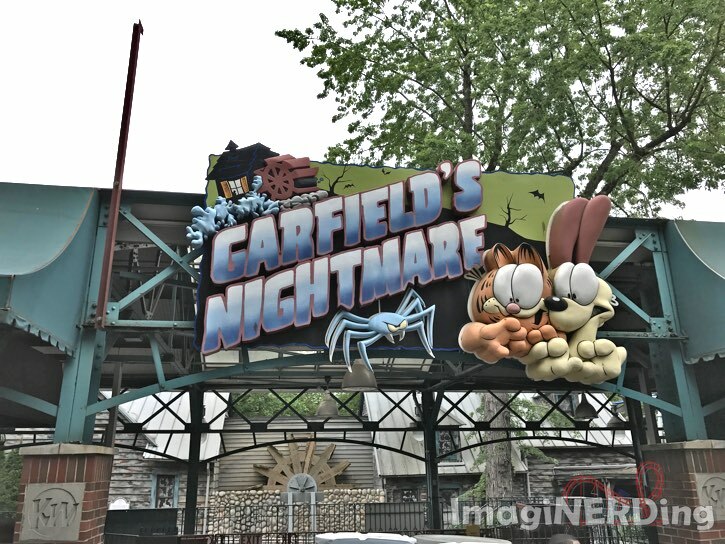 Despite the Garfield overlay, the attraction is still a must do! Noah’s Ark is a walk-though dark attraction that can be compared to a fun house. It was built in 1936 and received a remodel in 1996 and 2016. It’s a lot of fun and very hokey. It’s the last of its kind in the world, so it’s another must do. You can see the evolution of animatronic figures, spoofs and designs through this attraction. I discovered that I do not have sea legs and I would not make a good captain of sailing ship. Yes, you walk through the mouth of a whale and trod upon its squishy tongue. 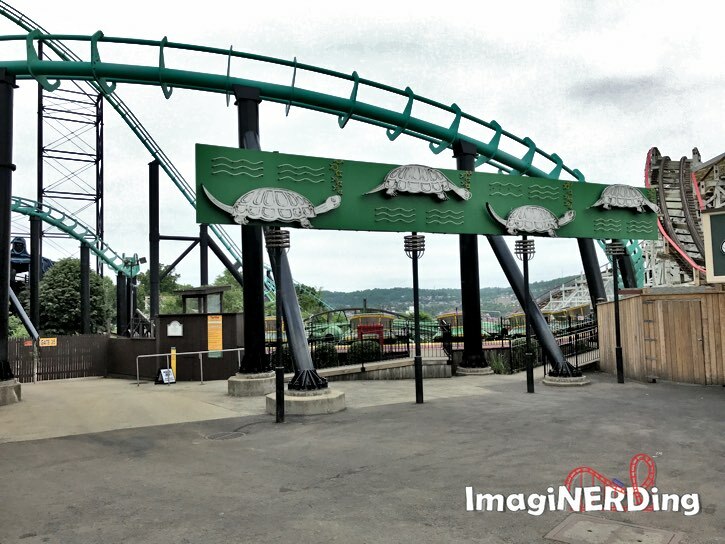 Kennywood is home to many classic flat rides, including the Whip, the Turtle, the Kangaroo and the Bayern Kurve. 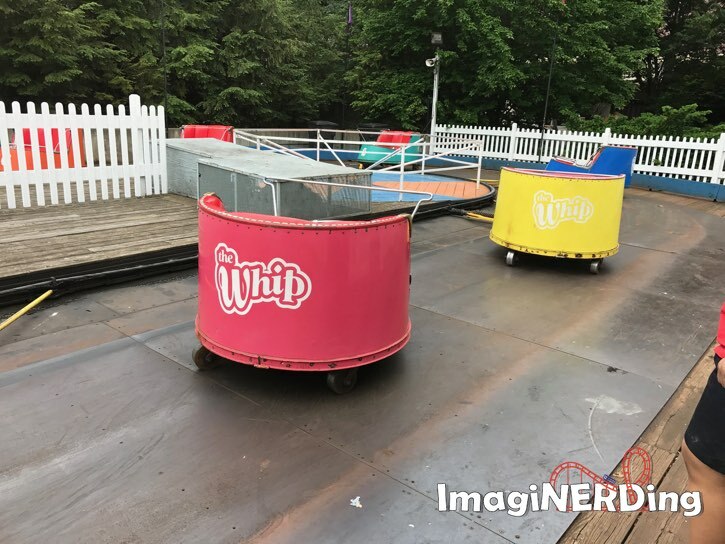 This was my first experience on a whip and it is a lot of fun. Kennywood managed to keep the older sign for the attraction! 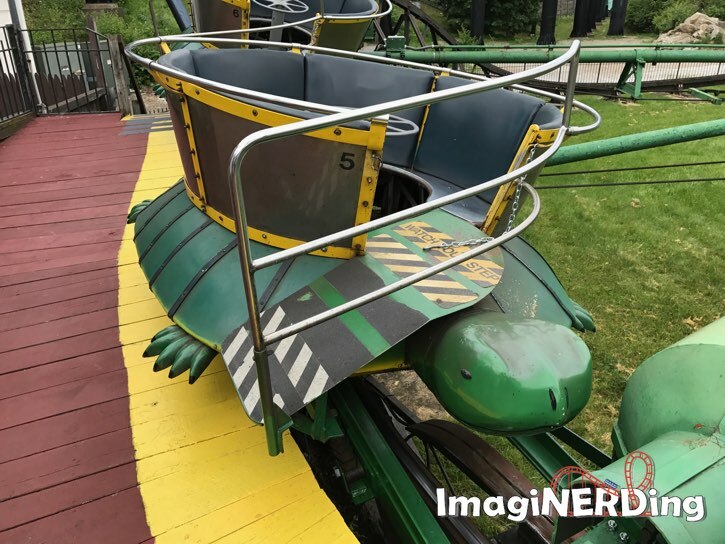 I rode the Tumble Bug at Kings Island and the Turtle brought back fond memories—until I started getting dizzy! But it was so much fun to see the caterpillar-style ride in action. Built in 1962, the Kangaroo is also the last of its kind. It is so much more fun than it seems or should be. The classic flat rides were the mainstay of amusement parks and World’s Fairs throughout the first half of the 20th century. You can trace the development of these rides into the modern classics of today. You can even find examples of these rides at Disney parks, like the Dumbo attraction. 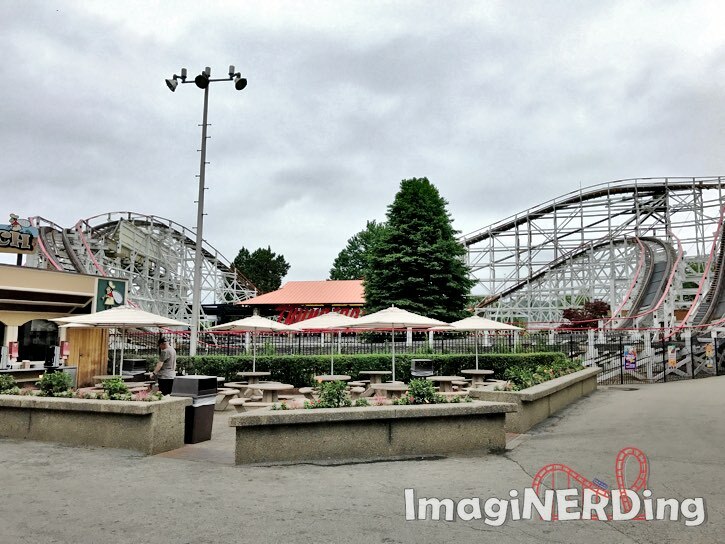 Classic and New Roller Coasters at Kennywood. 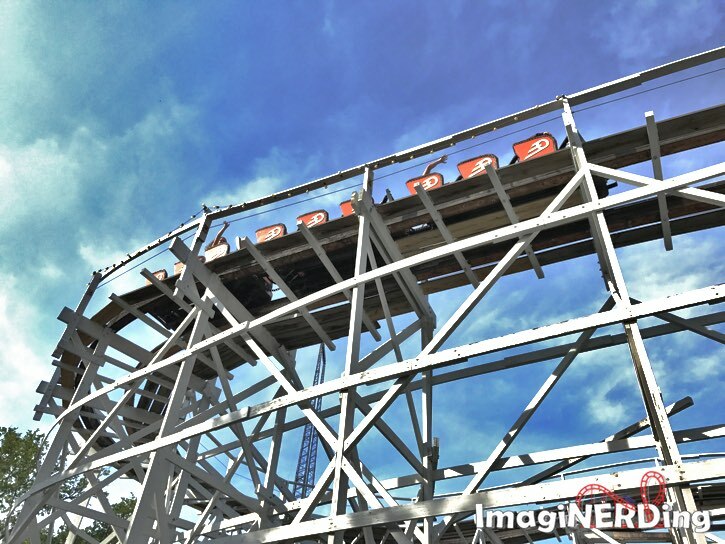 Kennywood is home to six roller coasters with a great mix of classic wooden and modern steel. At the time of this writing, Kennywood is the only amusement park in which I adore every roller coaster. Many parks will have a random Arrow or Vekoma that’s simply too painful to ride. Here, the wooden coasters are a treat and the steel coasters are smooth and fun. That being said, there are three wooden roller coasters that were designed by coaster legend John A. Miller that should be experienced by everyone. The Jack Rabbit opened in 1921 and offers a design template that most of the park’s coasters would follow—literally and figuratively: the terrain. 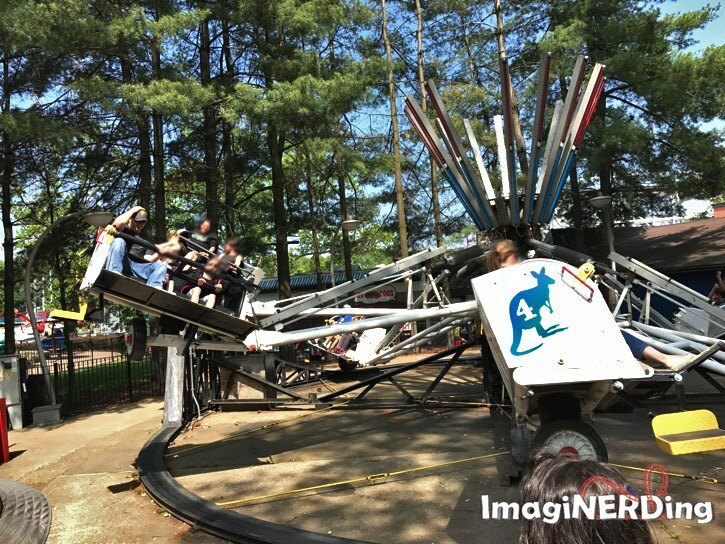 The Jack Rabbit is a wonderful coaster with plenty of airtime that can be enjoyed by the whole family (especially with a 36″ height requirement). 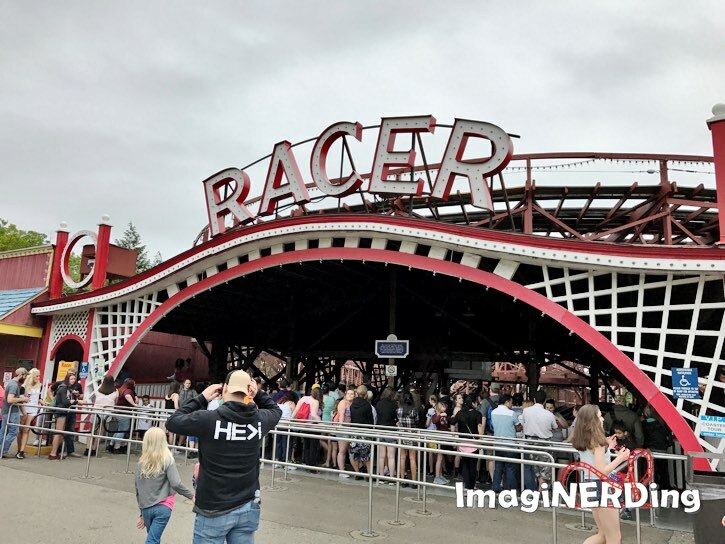 The Racer was the second coaster with that name at Kennywood. Both were designed by John A. Miller and the current one opened in 1927. It’s a Moebius Loop coaster, which means there is only one track for both cars. It’s very unique and still a great ride. Thunderbolt started life in 1924 as the John A. Miller-designed Pippin. In 1968, it was redesigned somewhat but kept most of the bones of the Pippin. Like the Jack Rabbit, it makes judicious use of the terrain and incorporates a mid-ride lift hill. The deceptively small profile of the Thunderbolt. The three classic wooden coasters are examples of what Disney wanted California Screamin’ at DCA to emulate. Sadly, Disney just can’t make a very good coaster. Disney fans need to experience roller coasters at other parks. The park also offers three steel coasters that are well worth the experience: the Exterminator; the Phantom’s Revenge; and the Sky Rocket. All of the steel coasters are fun without being overwhelming (like Fury325). Exterminator is similar to Primeval Whirl at Animal Kingdom, except it’s in the dark! 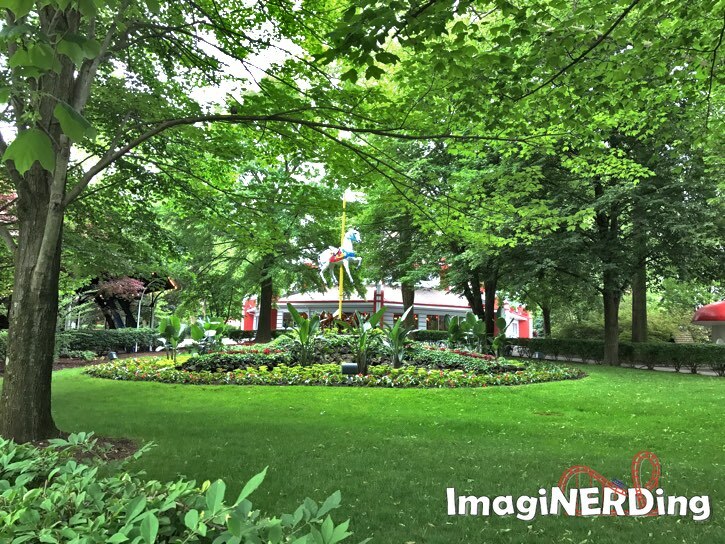 Kennywood is filled with historic structures that hearken back to the earliest days of the park. The Parkside Cafe is one of the original buildings in the park and is still in use today. 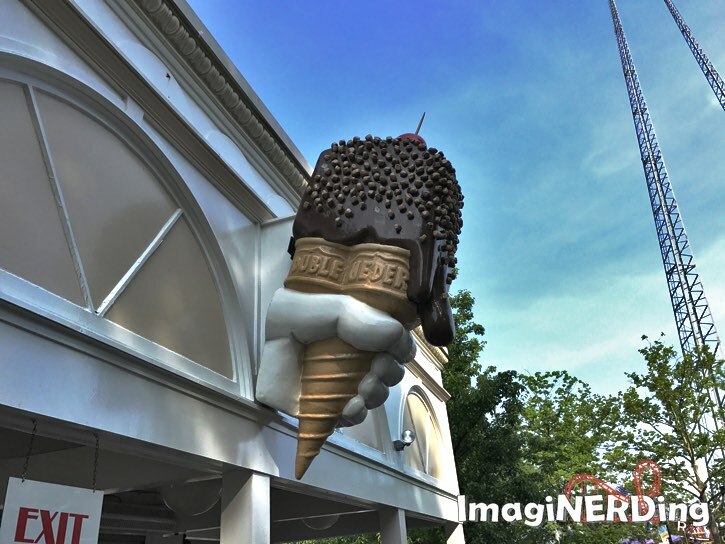 The Kennywood Pagoda sells ice cream, Dole Whips, sausages and more. 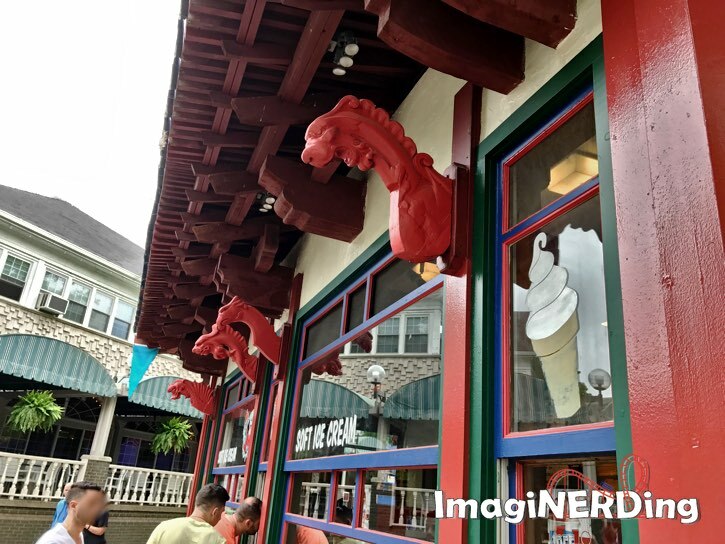 The dragon heads on the building are from the Old Mill ride vehicles. Shaded walkways and green spaces greet the guest at every turn. I felt like I discovered a treat around each corner of the park; whether it was a flat ride, statue or fountain! You saw the transitional areas of the park and how it grew organically. Unlike modern theme parks, Kennywood grew as the times and needs changed. Fortunately, the historic fabric of the park is still everywhere. The photo above was taken from the Noah’s Ark attraction. You can see see attractions and buildings from the 1920s to the 2000s. 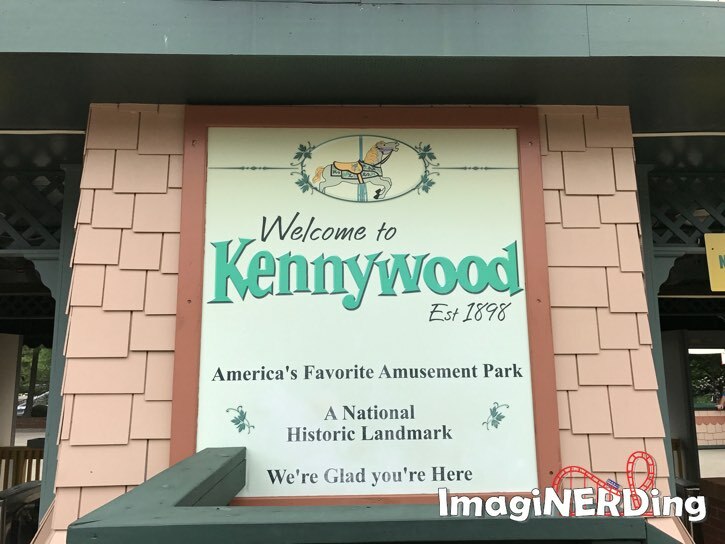 It’s quite a treat to experience the history of Kennywood, even for a first-timer. The Golden Nugget Dip Cone was a treat, along the lines of the Dole Whip at the Magic Kingdom. The ice cream had a very unique (and creamy) flavor. Served on a double header cone, it’s the perfect treat on a warm afternoon. Kennywood says goodnight as you head out of the park. The entire Kennywood experience was wonderful. I’ve known about the park for more than ten years and now I wish that I’d visited sooner. 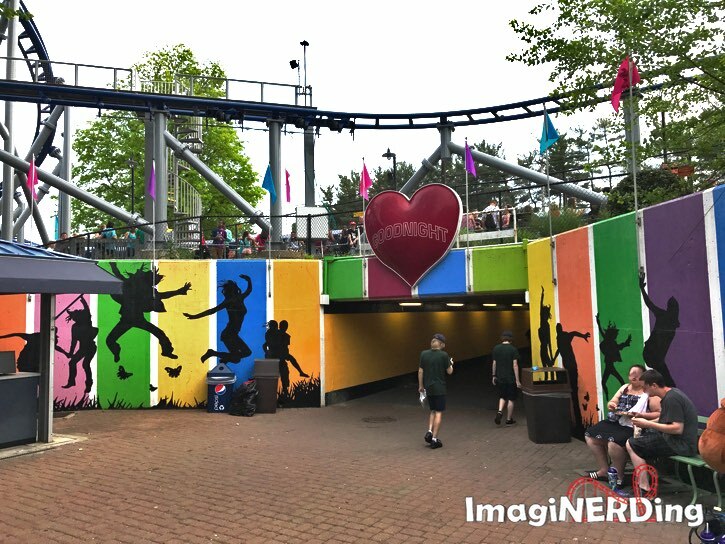 Special Kennywood Ticket Deals for ImagiNERDs! Click on this link and use the promo code ImaginerdingSBlog17 to receive a discounted ticket price to Kennywood! FTC Disclosure: Kennywood provided a media ticket for my visit. They asked that I live-post on social media and create at least one article on my site. Kennywood did not reimburse me for any food, travel or souvenirs. I wholeheartedly support Kennywood and the opportunity to visit free of charge did not influence my review. I’m glad you enjoyed the park! I’ve been going there since I was six months old. I hope you stayed into the evening to feel the atmosphere change and to truly experience the kennywood kiss goodnight! I agree, the wooden coasters are the BEST! The Thunderbolt is probably my favorite coaster I’ve ever been on. I’ve been going to Kennywood since the late 1970’s, and sadly, it has been going downhill since it was bought by Parques Reunidos. This year has probably been one of its worst. It’s just looking old and dirty, rides are closed, and the overworked and underpaid staff just aren’t enough. We in Pittsburgh are hoping it turns around. I was su surprised at how much I loved Thunderbolt, Phantom’s Revenge and Jack Rabbit. 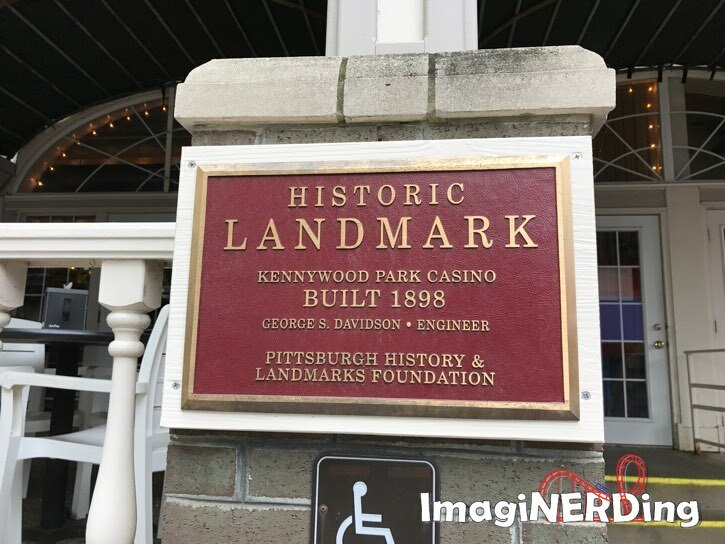 I was surprised at the way the park was kept up and I hope that Kennywood does do some upkeep, but it’s still an amazing park.